Every year the Anita Borg Institute for Women and Technology presents the Change Agent Award to three women from emerging countries. The recipients are chosen for their ability to demonstrate leadership within their communities, expand opportunities and influence the careers of girls and women in technology, and demonstrate an impact on advancing women’s participation in technology. The award gives them the funding to attend the Grace Hopper Celebration of Women in Computing conference, held this October a the Keystone Resort in Colorado. One of this year's winners is Kenyan Dorcas Muthoni. 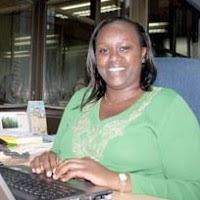 Muthoni is the founder and managing director of Openworld, which provides consulting and training services in open source systems. She's also a co-founder of the African chapter of LinuxChix (whose web site is offline). According to Africa Business Daily she has worked towards helping girls and women enter the computer sciences. Ms Muthoni is being recognised for her three years’ labour to get more girls and young women interested in Information Communication Technology (ICT), through mentorship programmes, workshops, book donations to schools and events. "Women in Africa need to do something to encourage girls to do subjects related to computing,” she says. FLOSS, or Free/Libre and Open Source Software, now makes it possible to make software available to people who would otherwise not afford it. Countries will no longer have to prioritise between poverty and the digital divide. Women, affected the most, need to be “properly tooled and positioned” to make that difference in their lives. Dorcas says: “Generally, there’s lack of awareness about FLOSS. Women are more seriously affected by this. Few people (in our part of the world) have contact with, or a background in, IT. Women also try to avoid science or mathematics. They’ve not been in big numbers in IT or computers. So we’ve had very few opportunities for women to interact - or mentor other women." And she is trying to help women by raise awareness of open source software and make it more widely available. I hope she enjoys the Grace Hopper conference. Read the Africa Business Daily article, which briefly talks to other Kenyan women in computer science, including Gilda Odera, Catherine Adeya, and Alice Munyua.